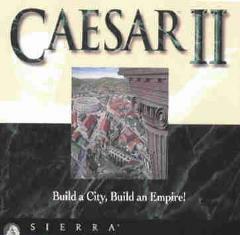 The Ultimate City-Building Simulation! You are the Governor of a Roman province whose capital city (if you build it well!) will become the talk of the Empire. Choose from dozens of authentic structures-- temples, aqueducts, bath houses, even the Circus Maximus— and watch your city spring to life. Develop resources, open trade routes, and promotion will soon follow. Then expand your territories and move up the ranks. Your challenge—to rise and become the next Caesar—while confronting upstart Gauls, invading barbarians and restless citizens who threaten your eternal cities. Can you do as the Romans do and build the ultimate city?